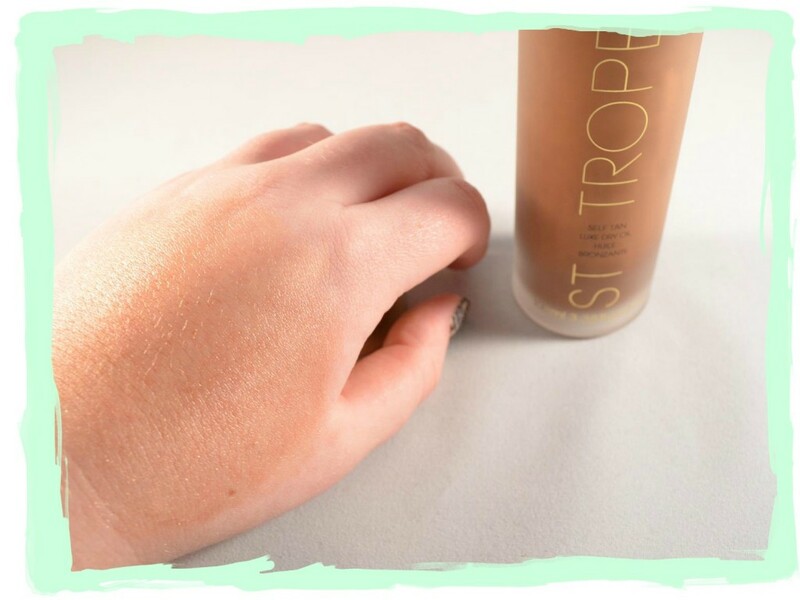 I’m so happy to have been put on the St Tropez VIP Beauty Panel!! 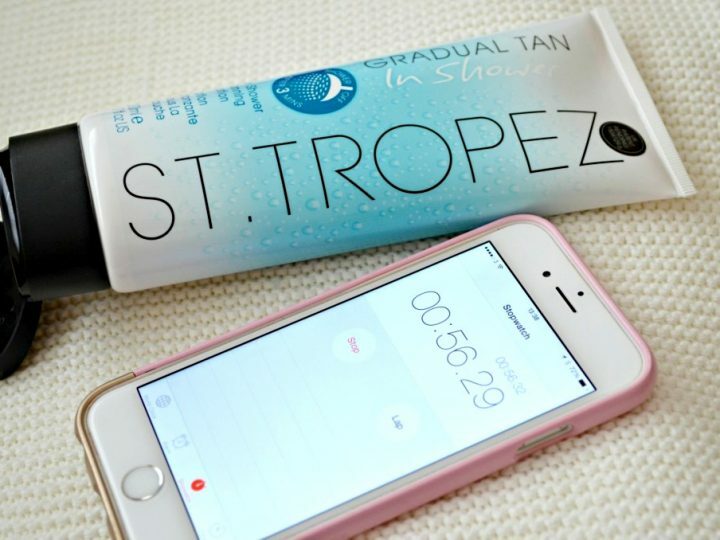 We all know when we hear St Tropez we are talking about a quality tanning brand, you can’t go wrong with any products in the range. I was kindly sent the Luxe Dry Oil to try out for review. 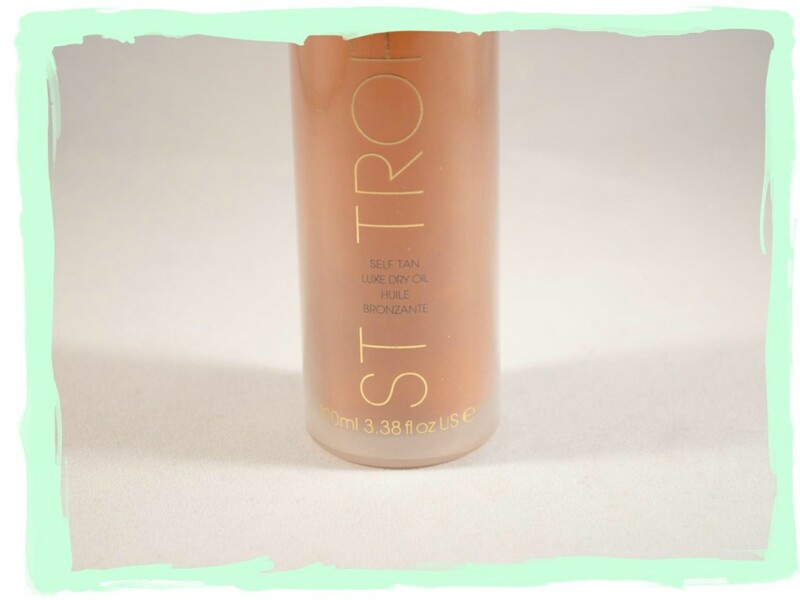 Anything from St Tropez I knew would be fab so I awaited it’s arrival especially as I was told we got to try it before it would be released to the public to buy! The first thing I look at when I receive a product is the packaging. The look and feel I think is really important, this is your first impression after all! The dry oil is in a glass bottle. LOVE. Glass screams quality and expense. 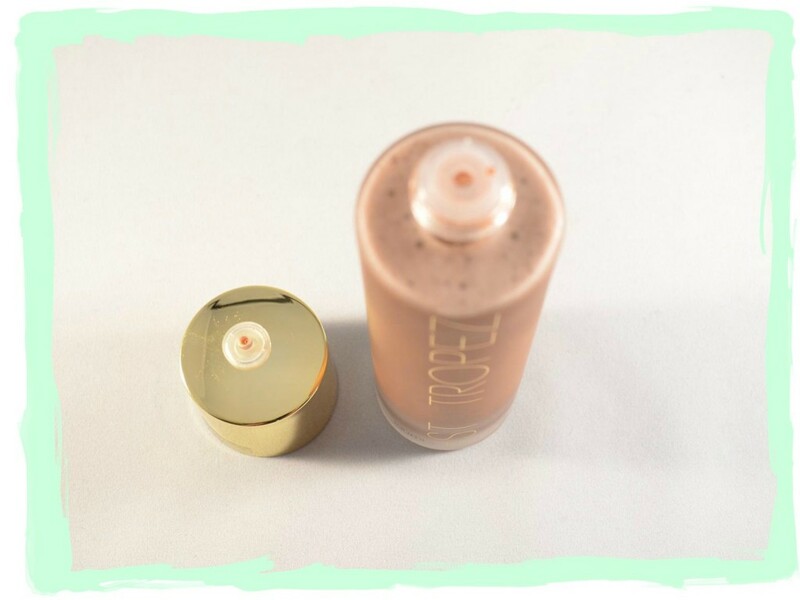 All the writing and lid is in a rich gold which again really ties in with the look of the product, it makes you think of warm, sunny places! 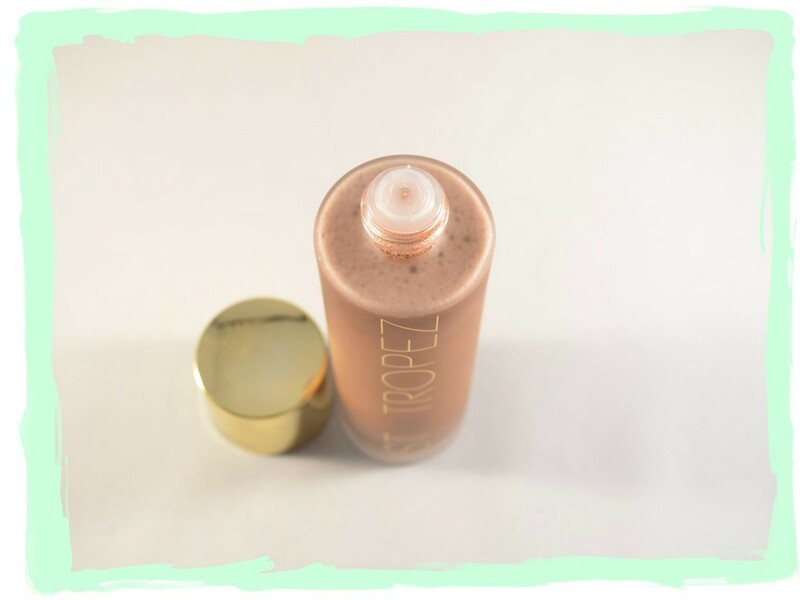 As the packaging is transparent you can see the oil inside and when you give it a shake it all mixes together. I’ve always been strangely fascinated with oil mixing into something, I just stare at it for ages – Strange I know! On removing the lid there is a tiny cap which is surprisingly easy to remove and obviously keeps the tan from leaking out. The oil comes out by shaking the bottle and small droplets fall out so you have no problems with too much product pouring out of the bottle. The first thing I noticed once the oil was on my hand was the scent. You know what I’m about to say….. CITRUS! It’s like a dream come true. The perfect tan that smells of lemons. You can instantly see the shimmer in the oil. I am always a little nervous of shimmer, I only need to look back at my teenage pictures to understand why. Nothing to worry about here though. Guess what. It’s a secret. 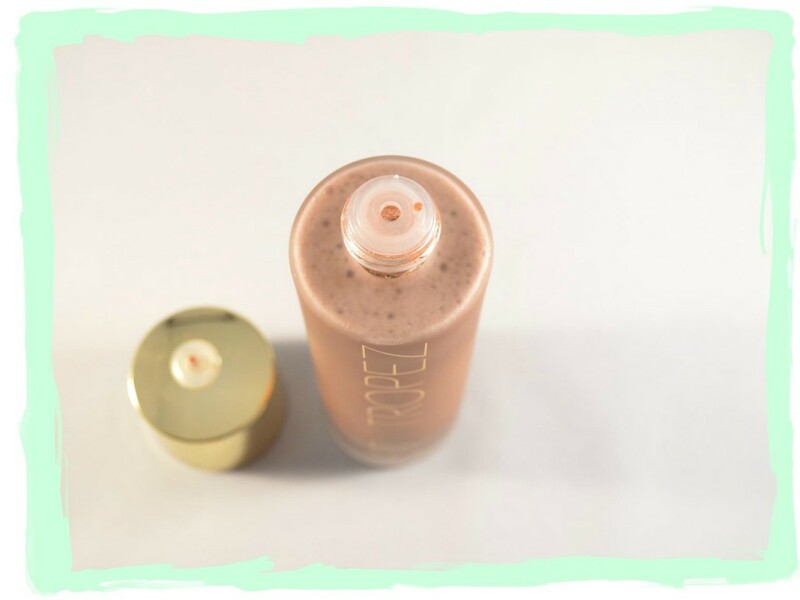 The shimmer is only a guide and washes it washes off – I love this and it’s something I haven’t seen before in a tan. The product sinks nicely into the skin immediately on rubbing it in, this has a lot to do with the fact that we are working with a dry oil. 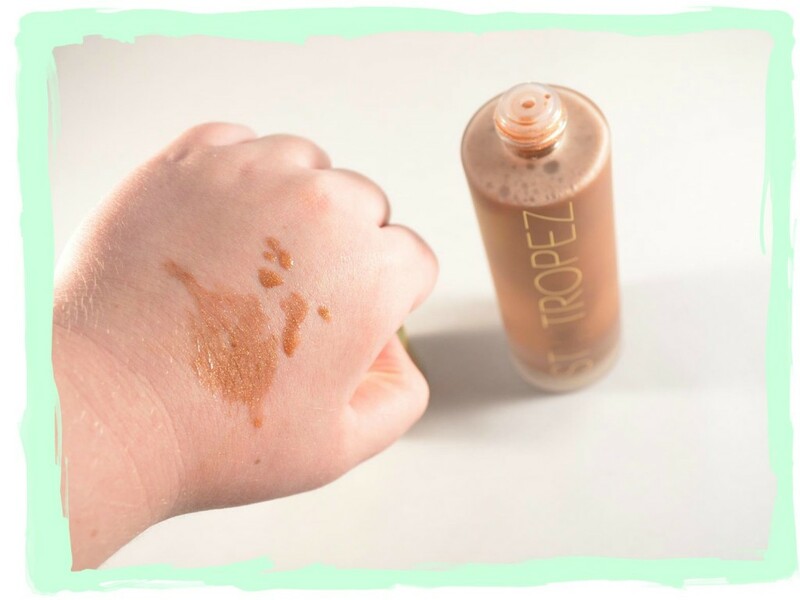 Once fully rubbed in there is a bronzed shimmer on the skin which looks gorgeous both inside and in the sun too. I am definitely taking this on my next photo shoot and I can imagine it becoming a strong favourite with my Brides too. This receives a huge A+ for me and goes in the ‘must haves’ list.